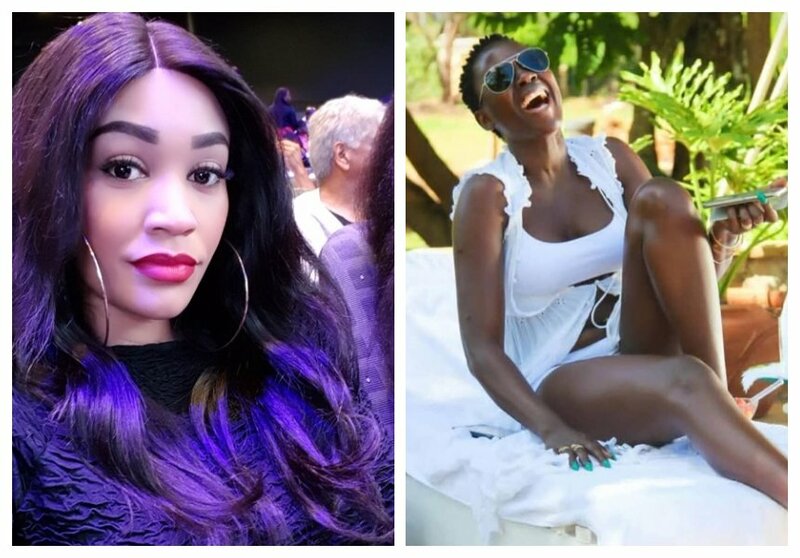 Zari Hassan and Akothee excited netizens when they talked about their baby daddies. The two women have had almost a similar experience with men who fathered their kids. Akothee took to social media to boast about how she has raised her kids as a single mother. She was particularly impressed by her daughter Vesha who was driving. “When children from single mothers own cars ! Then you know you only need brains to facilitate your children’s life & education go tell a sponsor to buy your child even a phone uone matusi have you ever asked someone to support your child & they answer ” am I their father? @veshashaillan,” wrote Akothee. 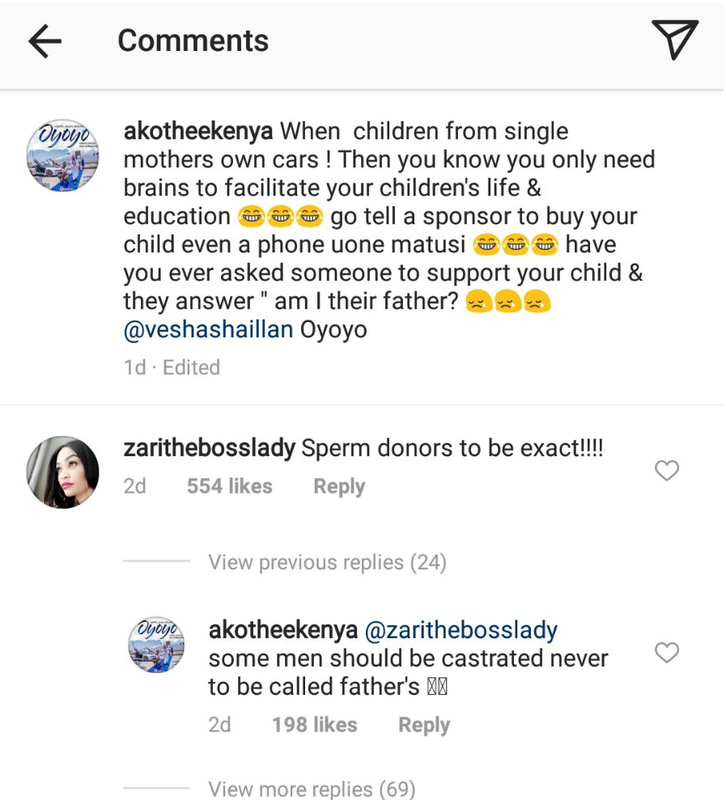 Zari commented on Akothee’s post saying that some men (referring to Diamond) were just sperm donors. The mother of five is now a single mother after breaking up with Diamond in February this year. Akothee went on tell Zari (after she commented on her post) that some men should be castrated because they don’t deserve to be fathers.